What is up, everybody? Fred Lam here and welcome to our daily huddle episode number 42. So, who do we have right here? Put in your name into the comment box if you are on YouTube or you are on Facebook and I will do some shout-outs to your name to make sure that you know that I am obviously live with our daily huddle right now. Now, before I actually do some shout-outs obviously there is a couple second delay as I’m actually talking to the camera, I’m broadcasting it to Facebook and YouTube, I want to share with you our topic for today. [0:01:31] Question 1: Which books do you recommend about online marketing? Which books do you recommend about online marketing? I know a book will never replace real experience but they are a powerful way to leverage on other people’s knowledge. Best from Columbia Fred! So obviously books are very important but I’m not a reader, okay. For me, I love actually working it, figuring it out and potentially watching some videos here or there. So book is not really a big thing of mine, but when it comes to online marketing, there are several books – I would say three books that I highly, highly recommend you to actually read if you are obviously a reader, a person that loves reading book at night and actually physical book. Now obviously one of these books that I’m about to actually share with you is not published yet. There’s only a digital version of it and it will be published hopefully sometime this year. So with that, obviously we have a lot of people, and I’m going to do a shout-out names later and since we’re on this topic right now. The first book obviously, no doubt, it is this book over here, “Starting From Zero” that I actually wrote myself. 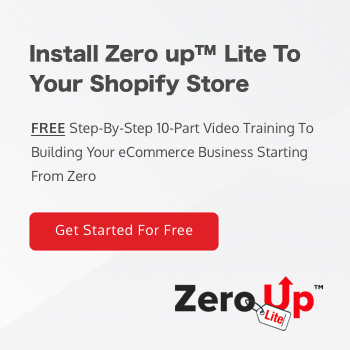 166 pages and sharing with you exactly my e-commerce journey, how I got started, giving you the understanding of how e-commerce works, and also giving you an entire blueprint on how you can actually set up a business using just a $100. For those of you that actually have the copy of my the “Starting From Zero” book which is only in digital format, put it in me into the comment box right now. That is obviously the first book that I highly recommend you guys because it is written by me, Mr. Fred Lam. So I don’t think anything will be better than me writing the book. So I got a lot of people say me right now. So some shout-outs to people I got your Jose here, Michelle, Mike, Erlinda, Donna, Lourdiette, Michael from New York. I got Afaqua. And then on YouTube, I got Joyce from Vancouver, I got Christopher Black, I got Water Ball, Water Ball is actually called Lisa. Now that I know what your name is Water Ball because your YouTube name is Water Ball and now I know it’s actually Lisa. I got Akia from Singapore. I got Greg Hillman. I got Ejik Stanley. I got a whole bunch of you right now here, awesome and someone on YouTube said that you are very cute. Thank you. I’m going to start blushing very soon since that you said that I am very, very, very cute. Thank you very much for that compliment. But anyways, coming back into the topic I was actually off to the moon for a little bit when someone said I’m cute and now back to earth. So I’m back to realization. First book, obviously “Starting From Zero” if you guys don’t have a copy of it you will find a link somewhere on my page, you will find a link somewhere to actually get a copy of my book. Now, the second book that I truly recommend to you and a book that actually helped me start creating a multi-million dollar business is actually written by my mentor Anik Singal. It is called “The Circle of Profit.” There are so many people that actually had a copy of this book and really changed their life. 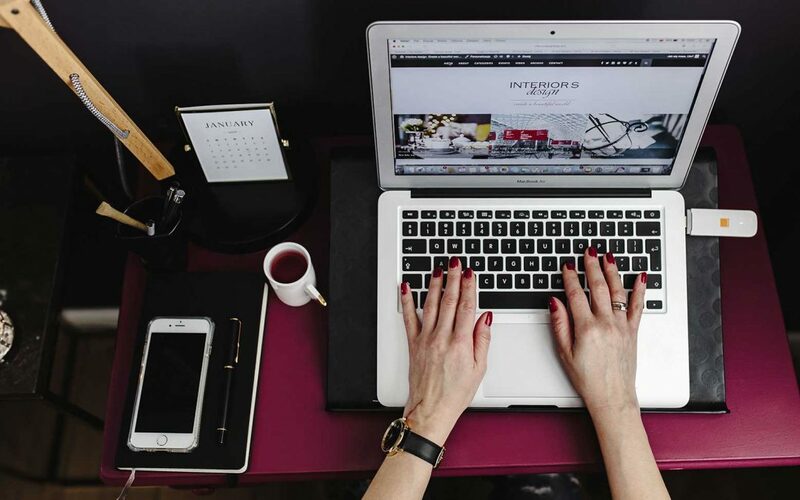 I shared the exact strategy on how you can actually build a business using emails. If you actually like it, I think that if you go to www.circleofprofit.com, there’s no affiliate link I’m just giving you the URL, you can actually get a copy of this book for free. 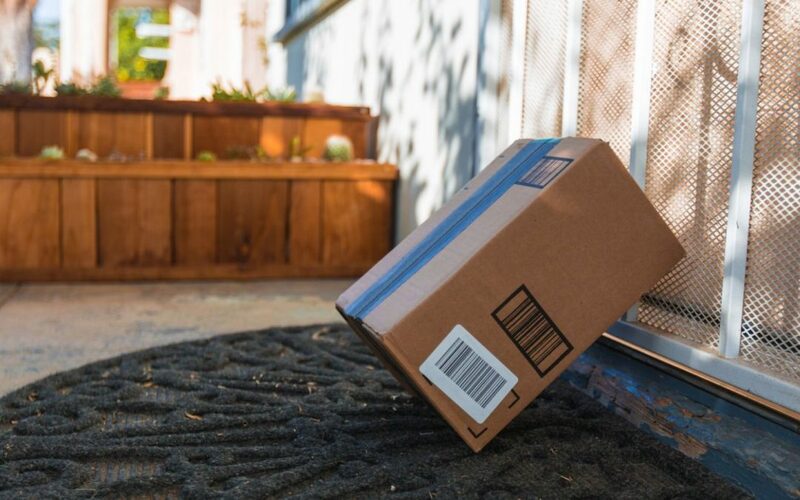 All you got to pay is just the shipping and you can get a copy of “The Circle of Profit”. I have to tell you, this book is definitely a gold mine as well when it comes to online business. Now, if you say that well Fred I’m not great at reading books, I love video training. Well, right now Anik and I actually teamed up and we have released a 8-part video training series called the Digital Boot camp where you get to learn step-by-step on how to actually build a business using emails. Again, the link is above this video on YouTube and right below on Facebook and right down below on YouTube, there’s a link that you can actually sign up and get this course for free, 100% free, no catch, no strings attached, just put in your email, put in your name and you can actually get access right into that free course. Now, the last book that I truly recommend to you and it is by a gentleman that is now pretty well-known in our space right now when it comes to generating businesses online and inspiring people that actually create an online business and helping a lot of local businesses create what we call a sales funnel and this gentleman is actually called Russell Brunson. He actually written a book called the “DotCom Secrets”. That book is really amazing there’s a lot of great information in there. I don’t have a copy inside my office. I only have a copy at my home, but again I’m not going to give you guys any affiliate links. When it comes to these books again “Starting From Zero”, obviously the book that I wrote. The second book, Anik Singal “The Circle of Profit” and obviously the last book that I would highly recommend to you is the “DotCom Secrets” by Russell Brunson. He actually is an owner of ClickFunnels and if you actually search for Russell Brunson, the “DotCom Secrets” book again, it is a free plus shipping book and all you’re going to do is just put in your shipping information and you actually have a copy of that book for free. 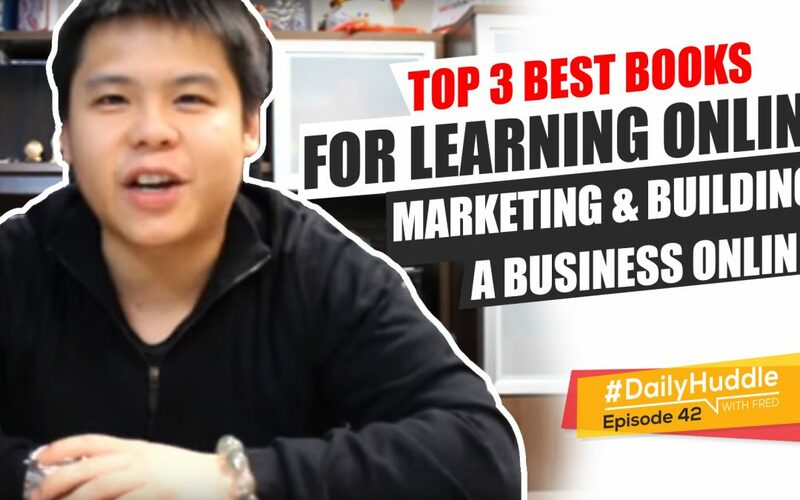 I would say that these three are the best books on the internet or even a physical book that really talks a lot about online business that really go in depth, step-by-step, giving you guys information, giving you guys the overview, giving you guys action steps and that’s what I would actually recommend you guys to do. I also have Karen here joining with us right now. Alright, so Jose said, your third is from Robert Kiyosaki. So, what was his name? Felipe was really, really specific on talking about online marketing and obviously Mr. Robert Kiyosaki is really great about understanding money, understanding financial stuff and basically how to escape the rat-race, how to invest and everything and how to invest in real estate. So he doesn’t really have a book that talks about online marketing so that’s why I did not actually say his book when it comes to online marketing side. I hope these three books can actually help you out and I’m pretty sure a lot of you guys may have two or three or even all of these three books that I actually recommend to you. So, with that being said let’s dive right in into our questions for today. 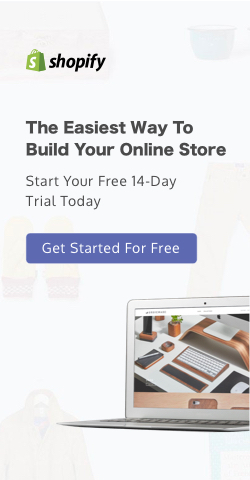 [0:09:09] Question 2: How do you switch your View Content Facebook Ad onto Add To Cart or other conversion levels? You just keep running a View Content Add until you are getting 20 minimum random Add To Carts or any other higher level conversion types, and then switch it? Hi Fred! Quick question, how do you switch your View Content Facebook Ad onto Add To Cart or other conversion levels? You just keep running a View Content Add until you are getting 20 minimum random Add To Carts or any other higher level conversion types, and then switch it? Here’s the deal, I know that there are some other people that runs a lot of Facebook ads that actually teach people to say you know what run all your traffic to go after website conversion first. So, I actually do not do that and I actually don’t even recommend my members doing it and the only reason why is very simple – ultimately, at the end of the day you got to understand that in Facebook’s platform, you need to tell Facebook what your ultimate goal is going to be and if you just tell Facebook that hey I only want people to actually view content which is going through your landing page for more than three seconds then ultimately at the end of the day, you’re not telling Facebook to optimize your ad based on a sale or an acquisition of a lead. So, if you’re that, you’re basically just stopping Facebook’s optimization right when someone clicked and Facebook will only actually help you optimize your ads to get as much clicks as possible towards your landing page and what happens afterward, Facebook don’t care. So, is that really a good method? I’d have to say it is not a good method, but I see that it is a much longer journey. Why don’t you go cut straight to the chase and basically tell Facebook right out of the bat that hey I’m advertising on your platform because I want a sale and more specifically this particular product or opting in into this particular e-book or whatsoever. If you tell Facebook directly about that, then guess what – Facebook will do its job and basically get you the lowest cost per purchase or acquisition as possible. So now if you say you know what I really want to just get to traffic first and I want to take the longer process and optimize throughout the stage, you can do that, but it may take you more money. Now if you really want to go down that route, it is absolutely fine. It doesn’t mean that it doesn’t work, it just that’s what I recommend I’m going straight for the actual conversion. Now, if you say that you want to go through the harder route, what you wanted to do and here’s the truth, you cannot change the objective of your campaigns. So, let’s say that if you have a campaign that is running that is primarily solely focusing on view content, you can’t let it run for like a couple days and then all of a sudden, decide that you want to actually have Facebook optimized based on active carts because you cannot change objectives. So what you really wanted to do is very simple. You don’t want to actually make that adjustments; now that you got pixel data, you want to create a new campaign and focus primarily on the active cards or directly to the purchase since you really have some pixel data. So again, like I said you cannot change it, you cannot switch it what you do is duplicate the campaign, change the objective to whatever your next step is going to be, pause the old one, run the new one. That’s what you would want it to do and I hope that helps you out,Elena. [0:12:41] Question 3: Could you please make a video showing how to properly use audience insight like your step by step facebook ads video. That’s a great question obviously I think that is a simple yes-or-no question but before I answer that, put in the word “me” into the comment box if you guys actually watched my video training on YouTube that I actually show you step by step and actually explained throughout the process of what each element are inside when you are creating Facebook ad. So put in to “me” if you have read it and give me your feedback. What do you guys think about that video training? I got a lot of amazing feedback in my comments on my YouTube channel, but I obviously want your feedback at the same time too. Let me know if you guys loved it, if you guys learned a lot from it, it helped you a lot and all those other stuff, and if I have enough “me’s” or if I have enough thumbs up on YouTube and on Facebook. Again, I want to see them especially on Facebook then I will decide if I should create another video of all about audience insight because that is what is requested by Maurice. So, if you want me to actually do a video training step-by-step, and walking you through all the elements inside the audience insight, what are of the hacks that I used, what are the things that I look for what all the items are, give me all the like buttons right now on Facebook. I’m not seeing enough I’m starting to see it but I’m not getting enough I need to see a lot. I need to see like waves of them. I need to see like ones pouring in so that it actually crashed my computer. I got a lot of people on YouTube that’s giving a me right now obviously if you are on YouTube, I can’t see your thumbs up, I can only see your “me’s” right now, awesome. All right I’m getting a lot of people on YouTube giving me of “me”. I got a lot of people starting to give me a lot of likes right now on my Facebook feed right now. Let me do that. I will come up of a video training all about the audience insight. I got to prepare for it. I’m going to get power points and actually walk you guys through it. So that will be on my agenda. I will let you guys know once I actually release it and again if you want to be the first to actually get these kinds of amazing video training, you absolutely need to subscribe to my video channel on YouTube and make sure that you actually click on the notification bell so you actually join a notification squad and actually get instant notification right away whenever I release these video trainings, all right. [0:15:39] Question 4: Are we not throwing money to garbage announcing the 24 hours on Facebook, when during periods like night or morning the conversions are very few? Hi Fred, first of all, thanks for your inspiration and coaching. Question: Are we not throwing money to garbage announcing the 24 hours on Facebook, when during periods like night or morning the conversions are very few? That is an absolutely great question that you actually bring up. So are you wasting money if you are actually advertising the full 24 hours inside Facebook. The answer to your question is going to be a NO. And here’s why – if you actually go in to your Facebook ad reporting and if you actually pull out your breakdown by time, you actually see that when it comes to night time, your reach and your spend it’s going be a lot less because what Facebook does is that they will actually take your budget and will allocate properly, not evenly, they will allocate properly throughout the 24-hour time slot and help you optimize your ads to actually show in the times that will most likely convert for you. So sometimes at night you may not get any impression only because Facebook see that you rarely get any impressions during that time or rarely get a conversion during that time, so they allocate your budget more to like the afternoon or the evening etcetera. Now obviously, if you are running a local business, it is wise to actually not run the 24-hours, but if you are running an online business and you sell it to globally – want leads globally then obviously you want to actually have 24-hour timeframe because everyone is in different time zones. Right now, it’s starting to be night time here in Vancouver. That means that in United Kingdom, it’s actually just morning for them, right? So those are basically significant difference. So, technically you’re not throwing money into the garbage because what you’re essentially doing is that you’re just letting Facebook help you optimize your ads for delivery and showing during the best time possible that will actually get you the lowest cost per conversion possible. [0:18:05] Question 5: What affect does it have on FB pixel when a account ads get turned off due to payment not going through. In most cases it has happened on the weekend and for about 1.5 days and then ads get turned back on. What affect does it have on FB pixel when a account ads get turned off due to payment not going through. In most cases it has happened on the weekend and for about 1.5 days and then ads get turned back on. So turning on ad and training off ads and let’s say that if you actually had an ad account all of a sudden on-hold only for security verification, there’s not going to be a drastic impact in your ads or the performance because all the data are there and it will just basically be living in there. However, if it’s been more than a week or I think it’s 30 days that is actually the right number, I don’t know the exact number but I think it’s even seven or thirty days – if you actually pause the ad for more than seven days or 30 days and reactivate it back, it will reset the algorithm for that campaign or that asset. If it is a couple days, it is fine. It won’t have that much of an effect. You do not have to worry about that. So, I hope that helped you guys out. Again, I think that today is a very short session because all these questions are very simple questions that I can answer almost like instantly without going in-depth because these are just pretty straightforward questions that have been brought up to me. So anyways, with that being said again I still have a bit of time right now and I’m going take a sip of my coffee. If you guys have any questions that you want to basically throw out at me right now, by all means let me know and I can start answering. [0:19:40] Bonus Question: How do you sell and advertise globally? Well, obviously in your ads when you set up your ads, you don’t have to specifically go after United States. You can go after other countries at the same time. So again, the minute that you have your website up, you are gaining access into the entire world already. All right so let’s see I’m trying to see if there’s any questions; seems like you guys don’t have much questions today. Talk about the project with your friend, Anik. So again, it’s just an 8-part video training series that you can access to and you basically learn about how you can actually build a business using emails. That’s what it is and then you will actually find more information right inside afterwards. [0:20:38] Bonus Question: Does day trainings don’t work well? Yes, day trainings still worked well, but you got to really watch your data like a hawk. It’s just more work but again, it’s just like your day training stock. It’s actually the same thing. [0:20:59] Bonus Question: Can you tell me about hashtags briefly please for Twitter? So, hashtag is really a tagging to posts on a related item so that when the person actually search for the hashtag or search for a keyword and you have that hashtag, then your posts will actually come up. So that’s what hashtags are. [0:21:24] Bonus Question: What is the best way to generate leads with a squeeze page on Facebook? Giving value – that’s the single most important thing. A lot of people ask what is the best way to actually acquire a lead or an email address on a squeeze page? Well, you obviously have to have an offer that is irresistible. People can actually see I want to actually give you my email address in exchange for whatever you are giving. It’s kind of like my “Starting From Zero” book, right? It’s over a hundred and sixty-six pages. Mr. Robert Kiyosaki even wrote the foreword to my book when you see that value, obviously you like I want that now and you would give me your email address. And that’s the exact same thing that you want to use towards your visitors and your customers. You want to give something that is something adds value. It’s kind of like, I don’t think this is a great analogy, but that’s what’s not on my head right now and you know what I’m is pretty straightforward guy. It’s kind of like when you first go on a date. When you first go on a date – let’s say that I’m going to be in a man perspective more than a female perspective. Let’s say, if I actually go on a first date with a girl and that girl doesn’t really excite me, like her hair was not done right, she was not dressed properly, she has the wrong makeup on or she sings something that is absolutely stupid then obviously I’ll be like you know what there’s not going to be a next time, bye-bye, right? We leave after dinner, we’re not going to talk again, we’re not going to go out again, right? It’s kind of like the same thing with your customers. If you actually offer them something that does not add value, something that doesn’t gain their interest right away or does something that doesn’t really fuel the fire, that guess what? They’re not going to actually continue to listen to you or build a relationship with you because you already lost the first impression, because the first impression is always so important. Yes, that’s the word I’m looking for the first impression is always so important so that’s why previously whenever someone asked me about like hey what should I do when I actually create an opt-in page, I always tell them blow them out of the park with the information that you have in your free e-book, free report or free video training because if you blow them out of the park, they will always listen to you, watch your stuff, open your emails, read whatever you have and even buy products that you endorse because the first impression that you gave them was absolutely mind-blowing. You were giving them so much value, so much content that you instantly build a relationship with them to continue to move forward to like second base, third base and home run. So, first base, second base, home run I hope that you guys understand what that means when it comes to dating but anyways that’s what you wanted to do and that’s the one of the most important part and again the squeeze page and the e-book is going to be again like I said the first impression is very important, you got to make sure that landing page is going to be visually appealing too. You don’t want actually you have a really a I’m not going to use the S word like a pretty non-professional opt-in page because again you will lose that person because you lost that first impression. So that’s what you wanted to do that’s what you got it to do alright. Stilettos 223 said, Fred Lam tough day, all right. Yep, I guess so, that’s what it is. So, anyways with that I hope that these really help you out and if you guys love our daily huddle today, let me know right below if you like it, hate, it dislike it, have some feedback let me know right below into the comment box, on Facebook or YouTube. I actually look at all these comments, just to actually see if there’s anything that I can improve on to make sure that our daily huddle is at the best, and giving you guys as much value as possible during our daily huddle. Other than that, that’s really it for today and for those of you that have not signed up for our new boot camp video training series, make sure you click the link above this video or right below on YouTube click on that, make sure you sign up and if you have a burning question that you want to ask me and you want me to feature it inside our daily huddle, make sure you go to www.fredlam.com/ask. Other than that, I’ll see you tomorrow. Tomorrow is going to be Thursday, so I have a private webinar just with my members. So make sure that you actually come on late okay I won’t be coming on usually on Thursdays at 9PM Pacific and midnight Eastern so if you guys love me and you’re in the East Coast, stay up till midnight, let’s hang out for 15 minutes to 30 minutes then you can go crash and PTFO okay. I’m not going to swear. I’m just going to say PTFO. Other than that that’s it for today, guys. I look forward on seeing you tomorrow in our daily huddle.